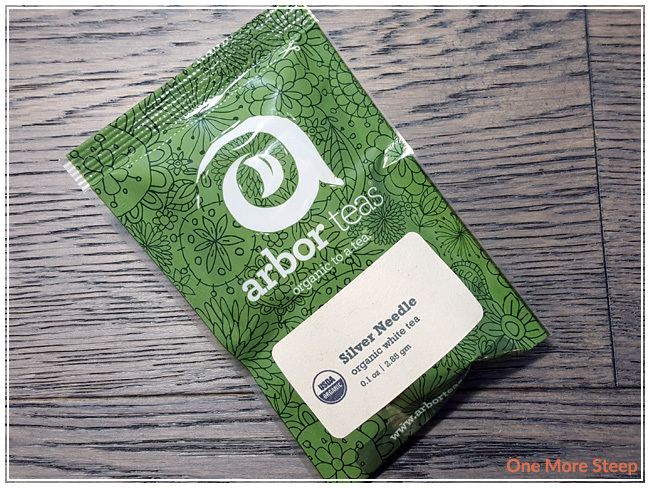 Arbor Teas has provided me with Silver Needle for the purposes of providing an honest review. I received this product at no charge to me and received no other compensation. Silver Needle came to me from Arbor Teas in a sealed plastic packet. The text on the packaging told me that it was all biodegradable to be environmentally friendly, which I think is really neat. The nice thing about tea is that it is biodegradable, so it is really encouraging when the packaging is as well. Arbor Teas states on their website that they are certified organic. 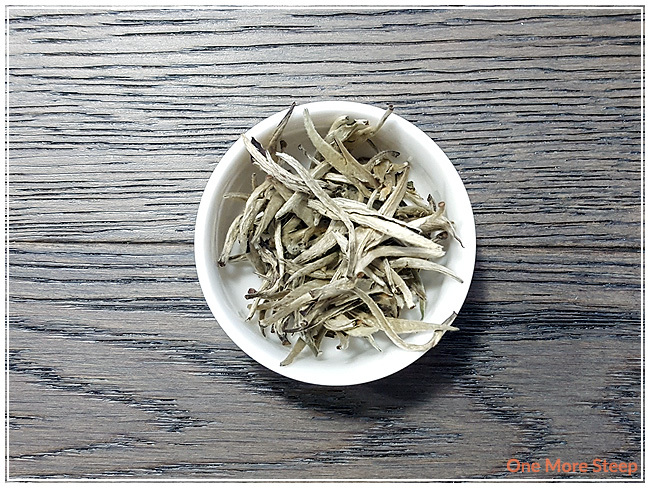 Silver Needle is an organic Chinese white tea, with no additional ingredients. The leaves themselves are long and skinny, with the white feathery down on the leaves. They’re quite beautiful to look at. Because of the shape and size of the leaves, it’s quite a bulky amount of tea in this package! There’s a sweet honeyed smell to the dry leaf that’s quite inviting. Arbor Teas recommends steeping Silver Needle in 180F water for 2-3 minutes. My initial steep of Silver Needle was for 2 minutes. Silver Needle steeps to a very pale yellow that you can almost miss, if you don’t have the best light. The tea itself has a light scent to it, floral and honey is the best way for me to describe it. My first sips were so enjoyable. There’s a lightness to this tea that is the opposite of ‘heavier’ teas (black teas, I’m looking at you!). There is zero astringency, absolutely no bitterness. Silver Needle has a beautiful honeyed flavouring to it that balances well with this light floral flavour. The lightness of this tea makes it easy to drink. 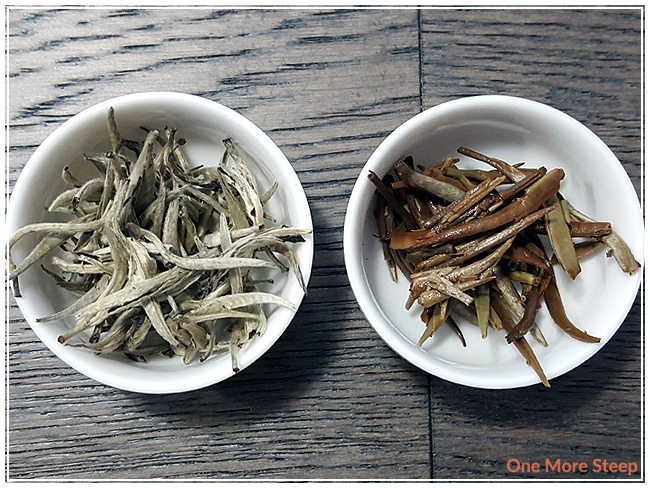 Silver Needle gets darker with each resteep until it gets to be a bright, golden yellow. I resteeped Arbor Teas’ Silver Needle a total of six times (seven steeps overall), adding an additional 30 seconds per steep. The tea gets almost thicker in texture, with an increase in floral-honey taste. 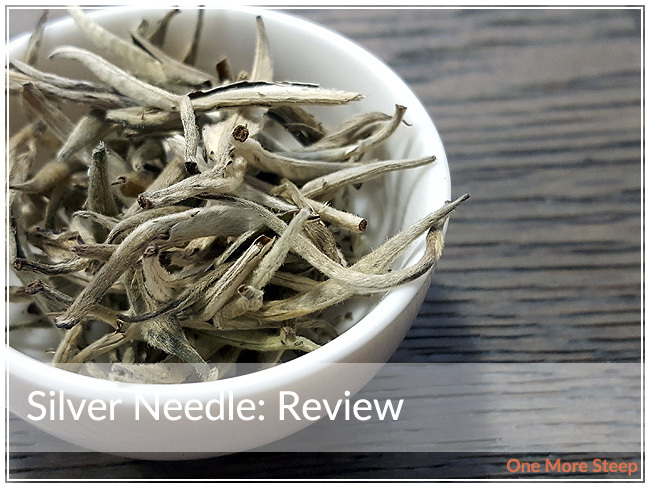 Silver Needle is still light and very much enjoyable, despite getting thicker as it gets darker. I found my last steep got to be a little bit lacking in flavour, but I was able to get five resteeps that were a complete joy for the taste buds. I loved Arbor Teas’ Silver Needle. Such a beautiful tea from the dry leaf to the first (and last) cup. 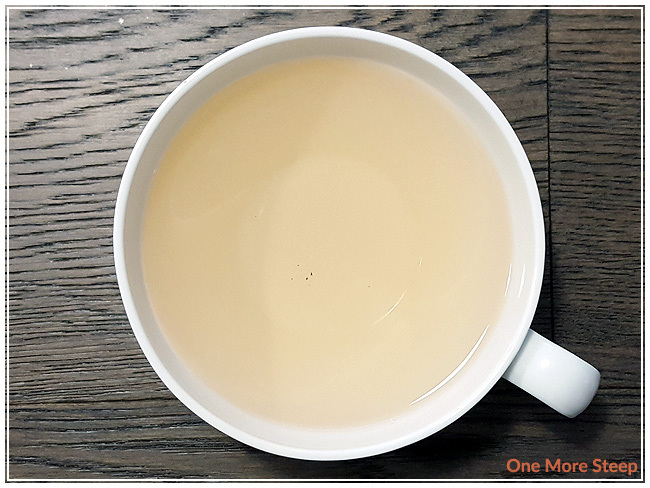 The honey floral flavour of this white tea are delicious, and the capability of this tea to handle steep after steep is a testament to the quality of the young leaves. In a way, this Silver Needle got a little bit more complex in flavour with each steep because it got darker and thicker and just more delicious. 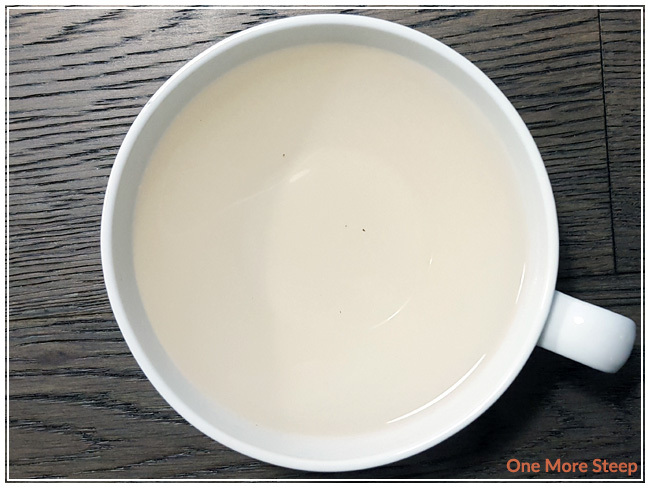 I think it would be great as a post-meal tea if you’re looking for something a little sweet, or as a tea to pair up with an afternoon tea that is skewed more heavily to the sweets and pastries over savoury food options.